After a short break, I am back with another thought, from Philippians 4:8. Attitude is an important part of our lives, and the amazing thing is that we control it. To often we allow our emotions or circumstances to drive us away from what we know to be true, and then we cop and “attitude” that is not helping us through those circumstances, as a matter of fact it causes us to have a worse day, than if we focus on the principles of Philippians 4:8. Don’t get me wrong, thinking correctly is a hard thing to do, we often want to wallow in our self-pity and frustration. We believe that we deserve to be miserable. But the truth of the matter is that a miserable attitude really hurts us more than it does anyone around us. People just simply ignore us and stay away. We are the losers in this scenario. 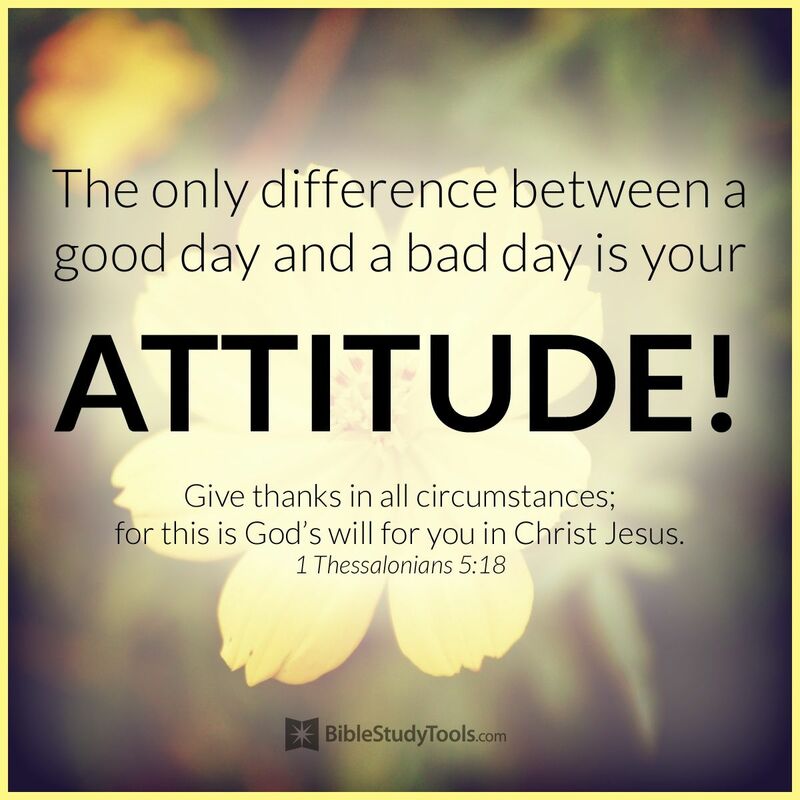 Don’t allow the day to dictate your attitude, use the Scripture, and allow yourself to see the blessings of the day. Psalm 118:24 reminds us, “This is the day the LORD has made; We will rejoice and be glad in it.” Rejoice in the day God has given you.